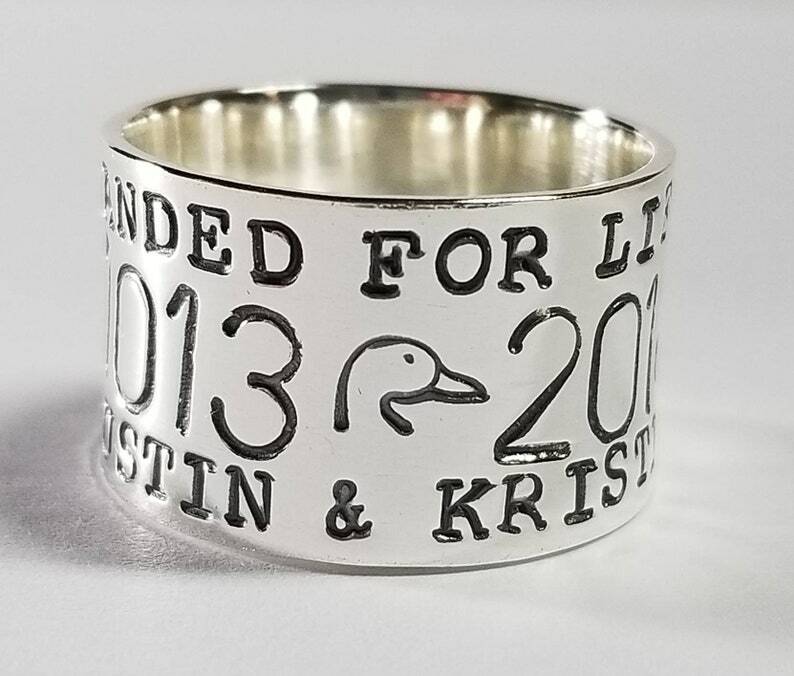 Custom Handcrafted Duck Band Ring with duck head and footprint designs. 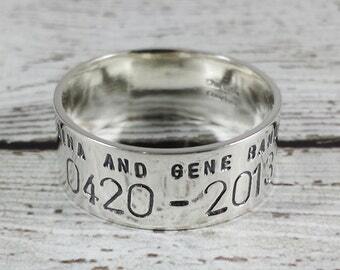 Each ring is hand crafted from thick sterling silver and designed in a 5/8" width with smooth comfortable edges. It's exactly what I was looking for!!! Thank you so much!! !